Yoga was passed onto the west from India by a lineage of male teachers. But today a new generation of female force started to lead this path. The impact they have on the lives of people is strong, inspiring and radical. It is rightly said by someone that women can bring energy and empowerment into their daily, family and community lives through their yoga studies or practices. One among such ladies is Pinki Ghanghas. She did not only enrich her own life with her passion for yoga but also influenced the society around her. Pinki Ghanghas is lady with unique vision. She stood aloof from the crowd of women with common thinking who would prefer minor sectors to make up their careers. She has chosen yoga as her career path which is actually a male predominant field. Ms Pinki Ghangas did not only take up yoga as her career but also marked it in her own style. She was born in a northern state of India. Ever since from her childhood, she had an intense passion for spiritualism and meditation. She has learnt yoga science from one of the oldest institutes from Kalvalyadhama Lonovala, in India. Her keen interest in this area, paved way to her research in yoga exercises. She did her academics also in yoga science. She also did a course in Yoga Therapy from Chandigarh Punjab University. And she did her M.Sc. in Yoga and Naturopathy from Vinayaka Mission University. She was been rewarded with many accolades for her achievements. She was awarded a gold medal at National yoga championship. She has been labeled for her perfection as an ideal and best yoga teacher. Finding a perfect female yoga trainer in a male dominant field like yoga would have been impossible if people like Pinki Ghanghas did not stand for it. 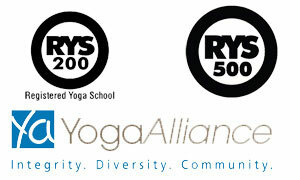 Although majority of yoga learners are women, female yoga trainers were not equally available. Hence female learners will have to learn yoga under male trainers, which could be very inconvenient to them many times. Today there is a consistent increase in the number of female yoga trainers available. Pinki Ghanghas has set herself as a symbol of inspiration and motivation for many such female yoga trainers. She has passed through innumerable milestones throughout her tenure serving yoga. 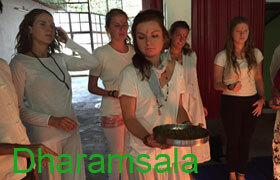 Yoga students from across the globe are benefited through her guidance. She has transformed the lives of thousands of over scheduled, over-stimulated and multitasking modern women. She is a gem in the world of Yoga.